“It was not a given that we were even going to do Civil War when we were talking about the next movie after Winter Soldier. So there was a period of time when we explored possibilities for Cap stories that did not include it. After Avengers: Age of Ultron, Downey Jr.’s contract with Marvel had been fulfilled, but negotiations were being had to keep the actor signed on for a little longer. No doubt large sums of money were thrown back and forth before they reached a deal to keep Downey on as Mr. Stark. “The charm of the Madbomb is that you turn hordes of people into berserkers. That was the physical challenge that Cap and company would have had to face. He has a point. It would have been a very tricky moral conundrum for Cap to overcome. How far would it have pushed Cap? 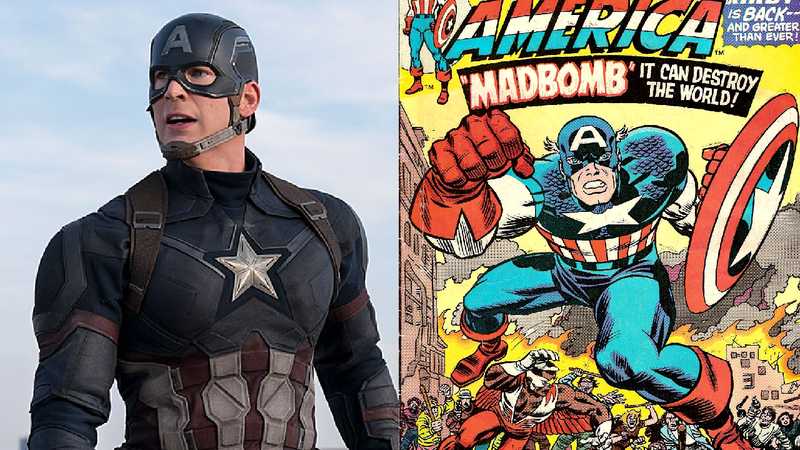 Maybe instead of him going toe-to-toe with Iron Man and ultimately throwing down his shield, having to kill a civilian to neutralise the overall Madbomb threat would have saw Steve toss aside the Captain America title. It would have been a very interesting storyline to translate onto the silver screen and into the MCU. Maybe we’ll still see it someday? Alongside discussing the Madbomb story, the Russo brothers also touched on Avengers: Infinity War and revealed that Steve Rogers won’t be Captain America in that movie. Captain America: Civil War is available on Digital HD on September 2 and on Blu-ray/DVD on September 13.